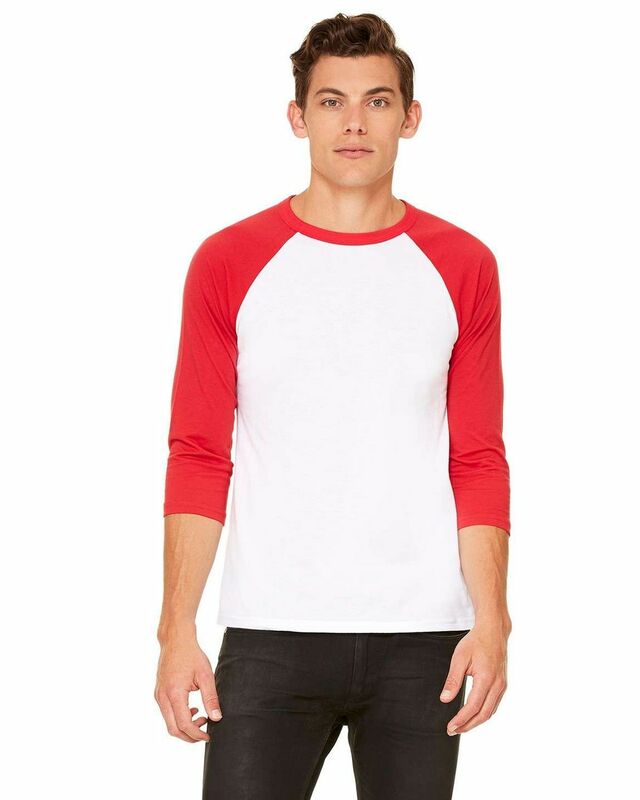 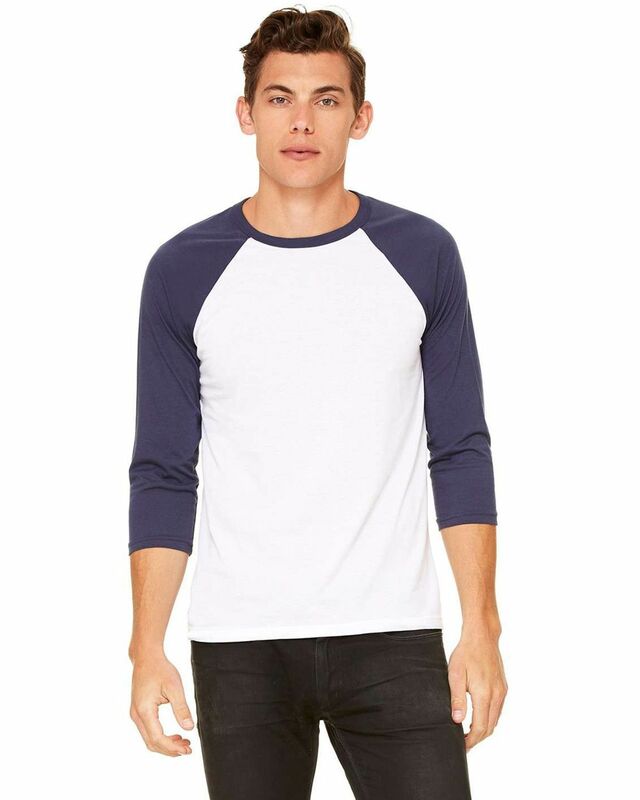 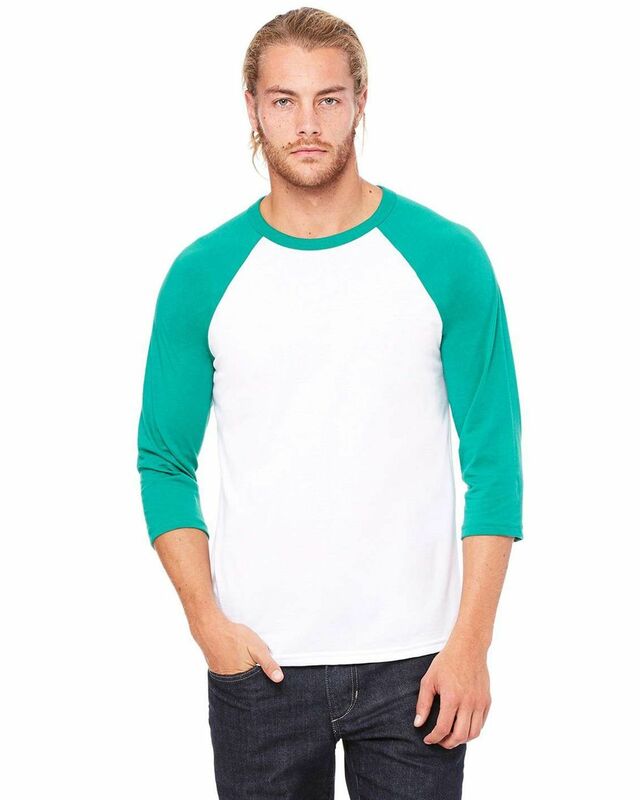 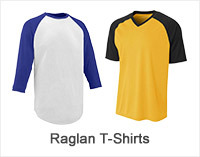 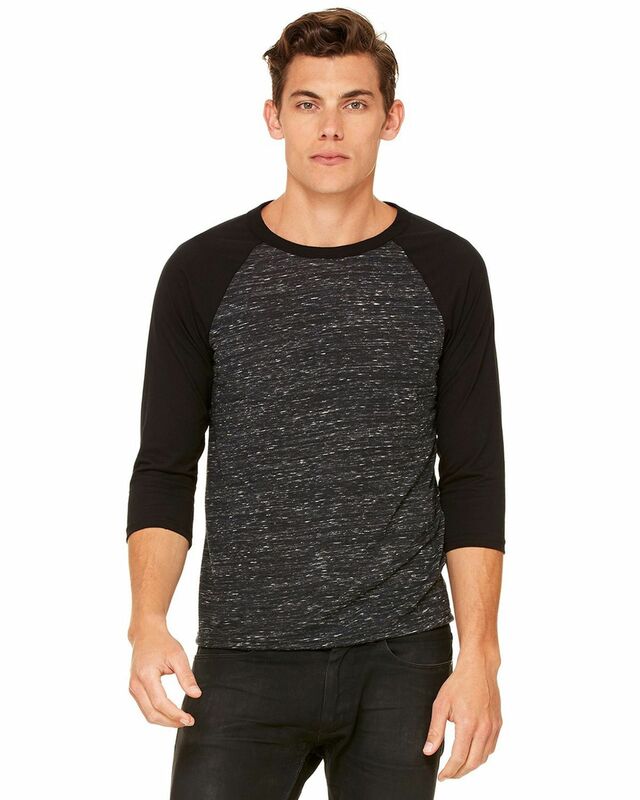 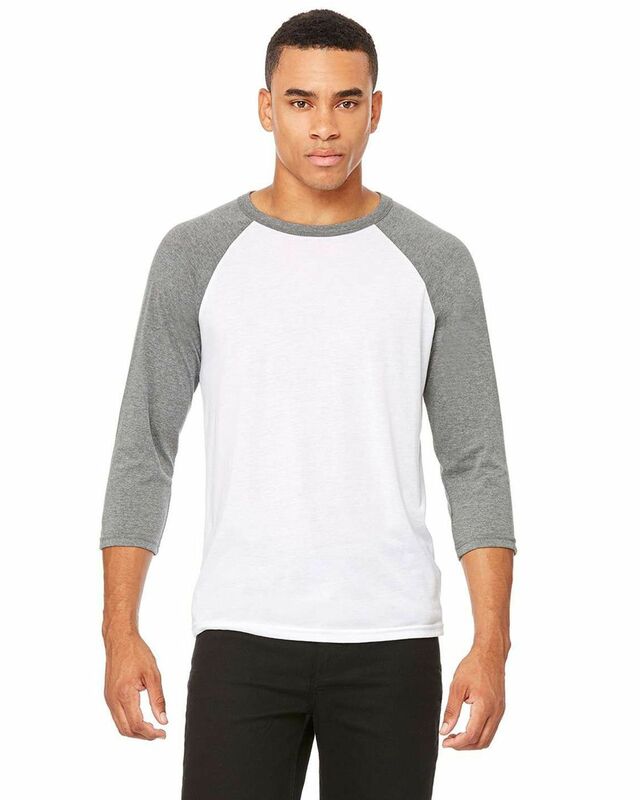 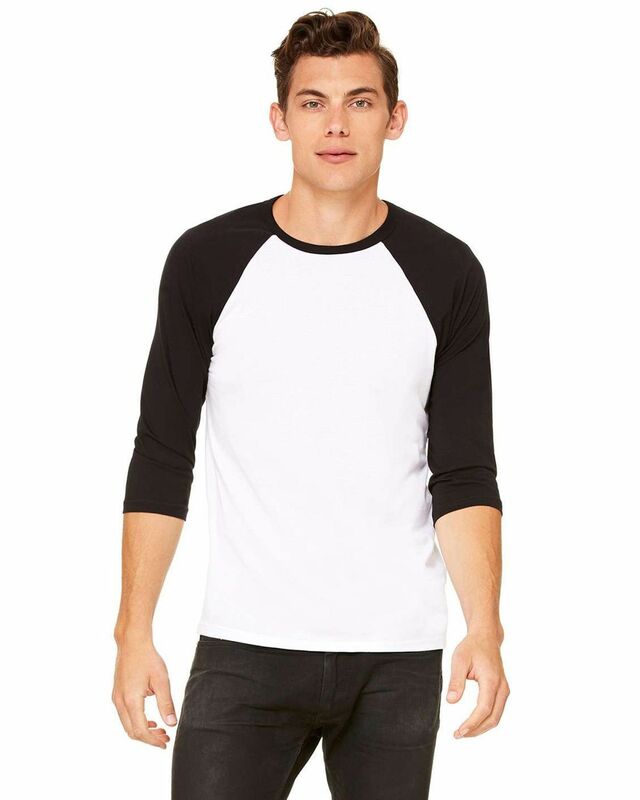 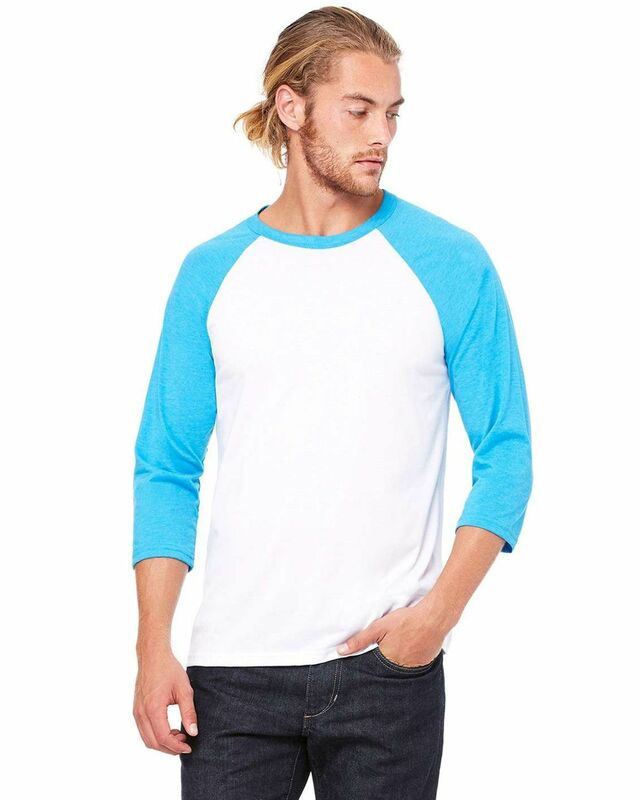 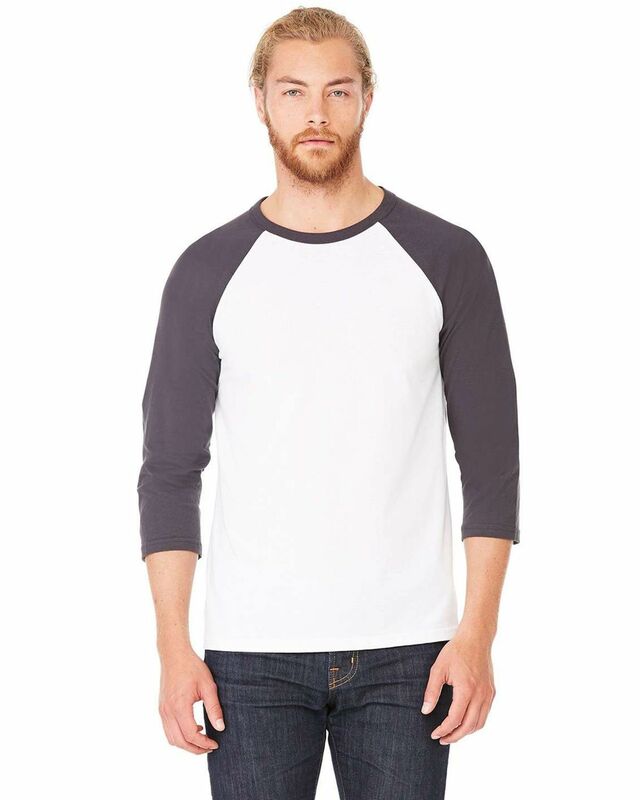 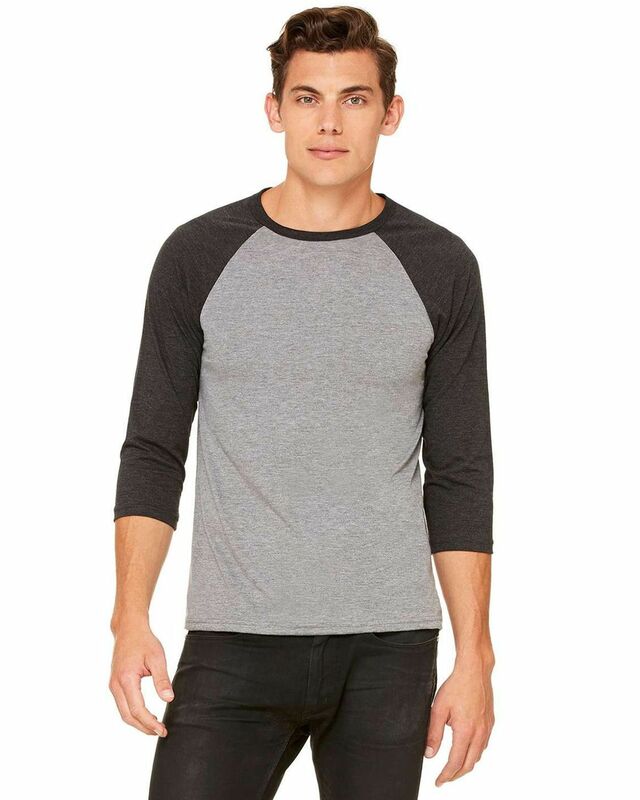 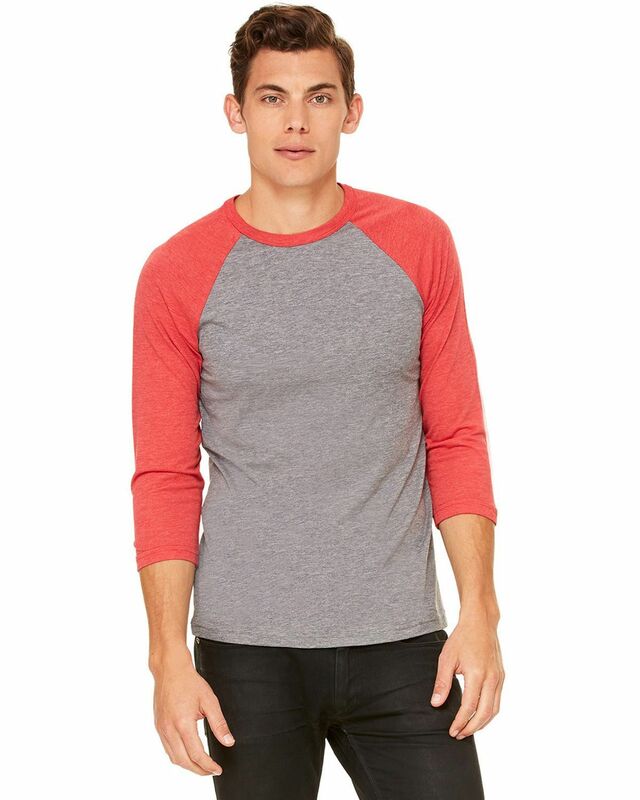 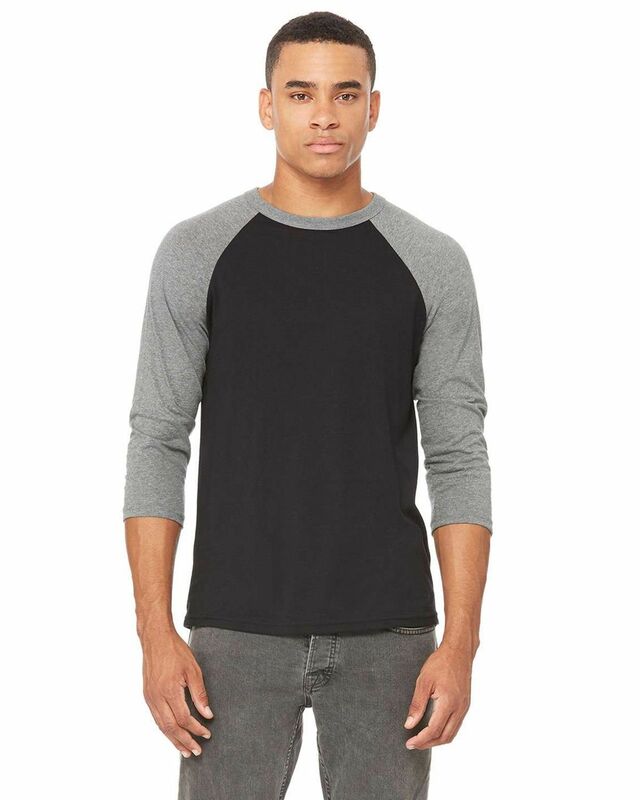 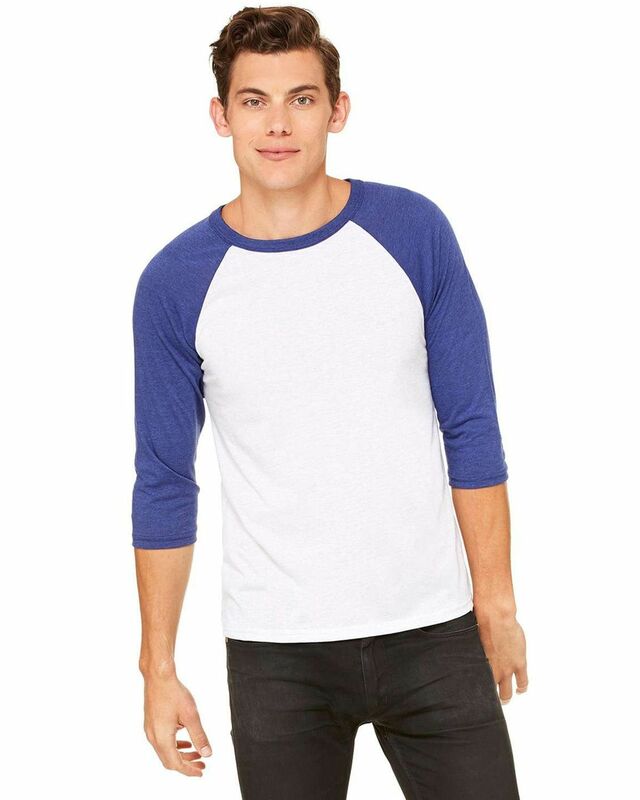 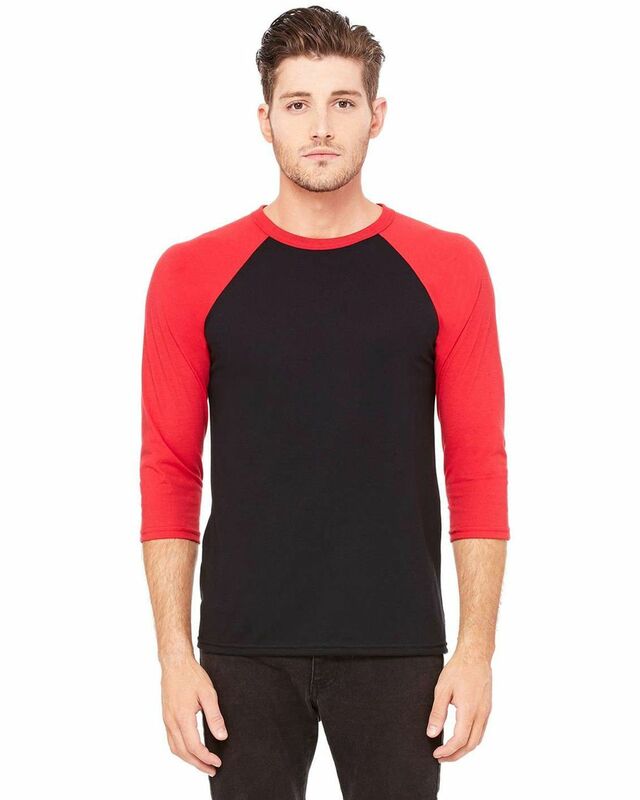 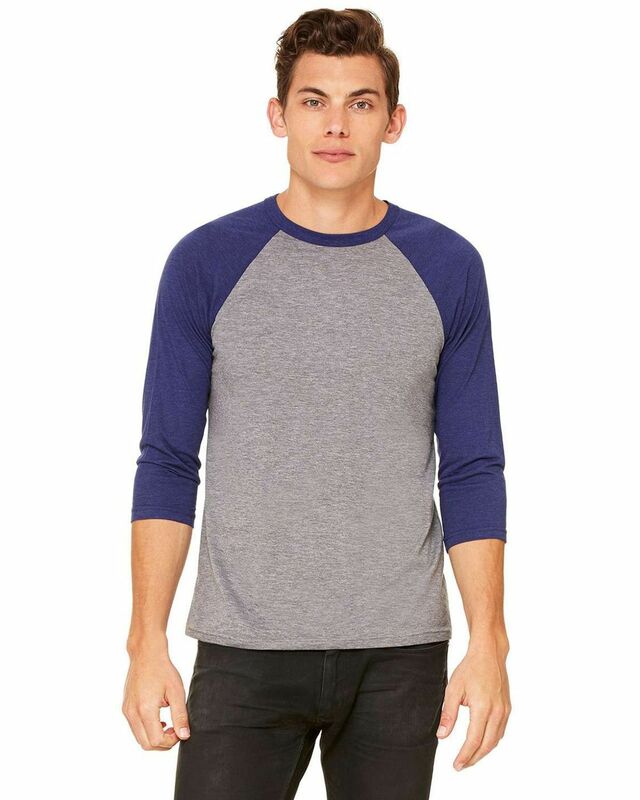 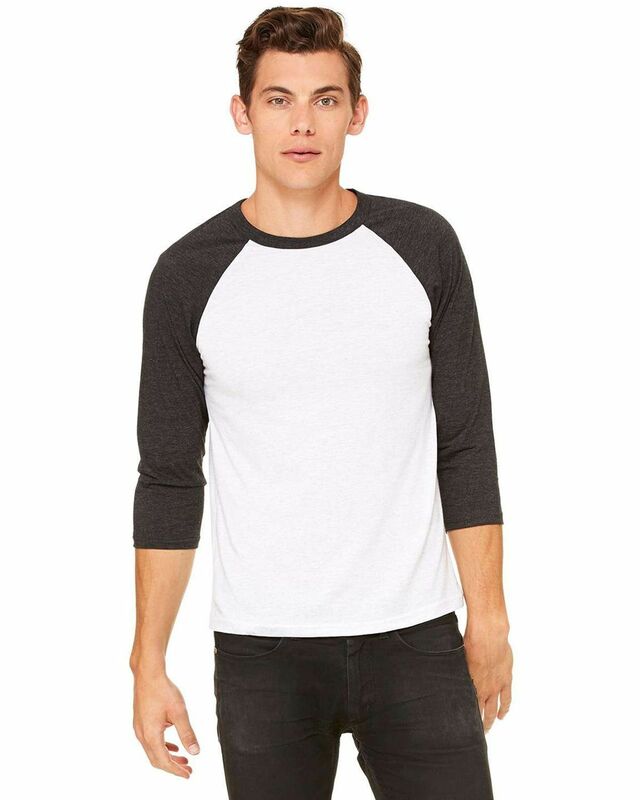 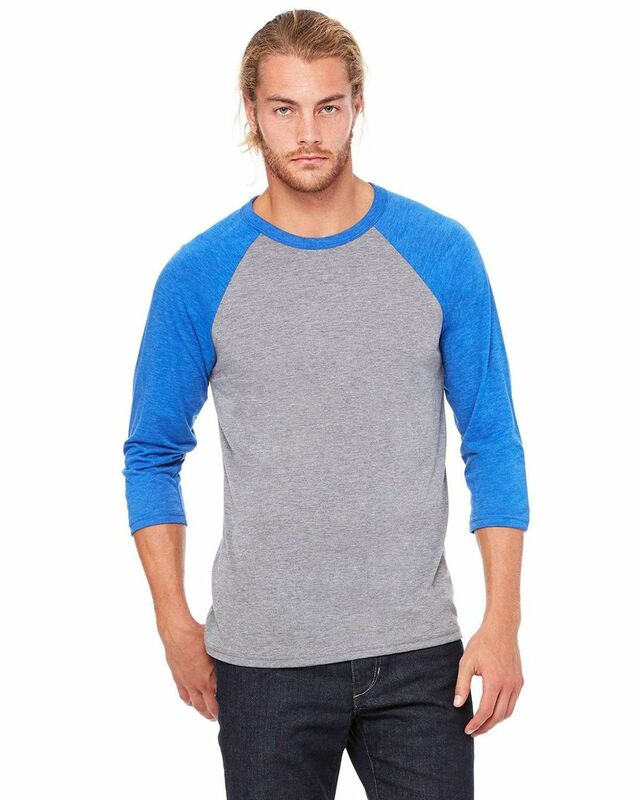 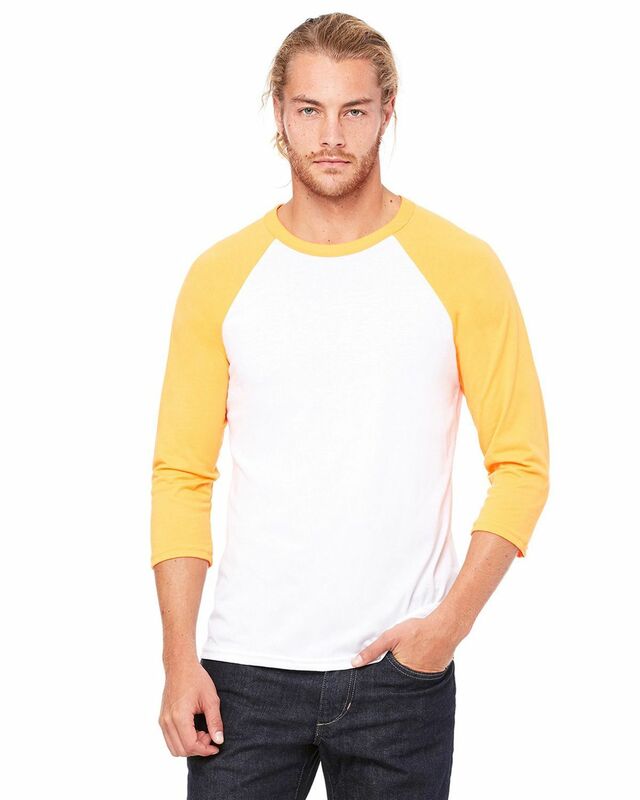 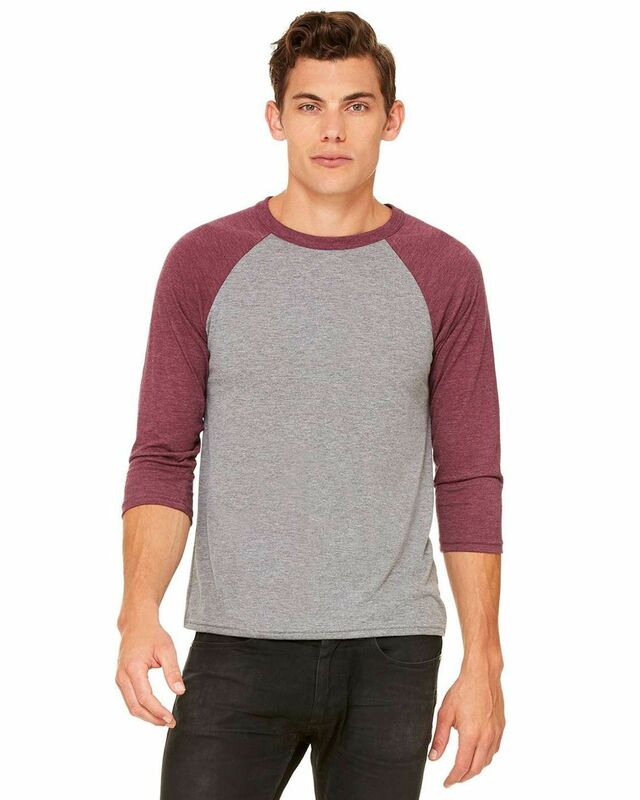 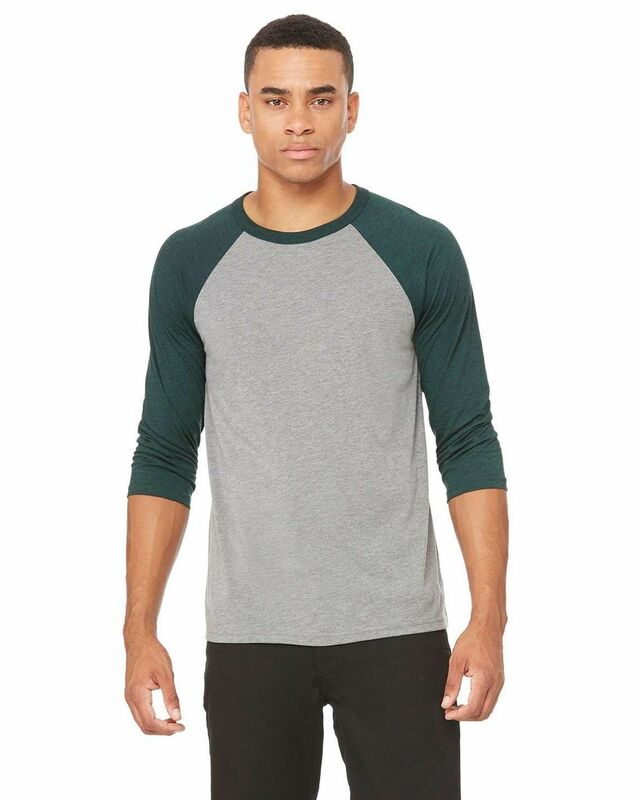 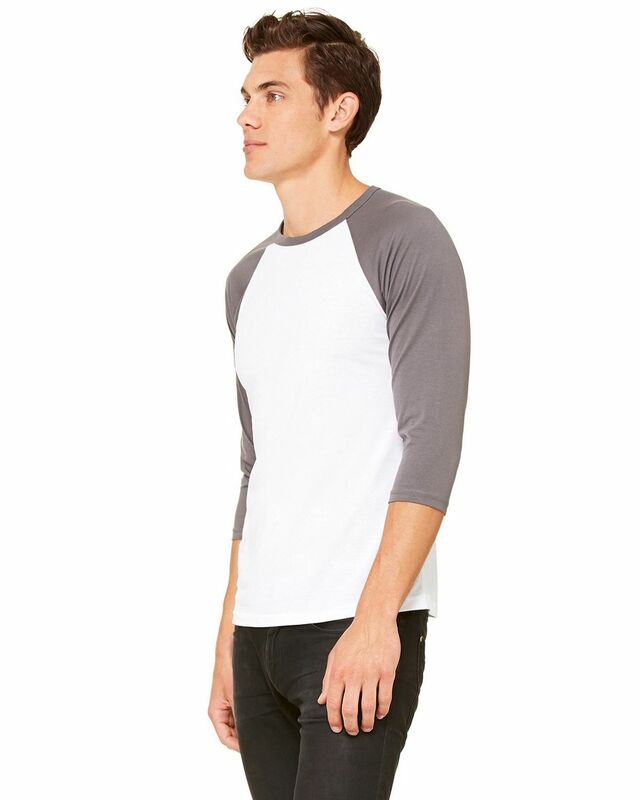 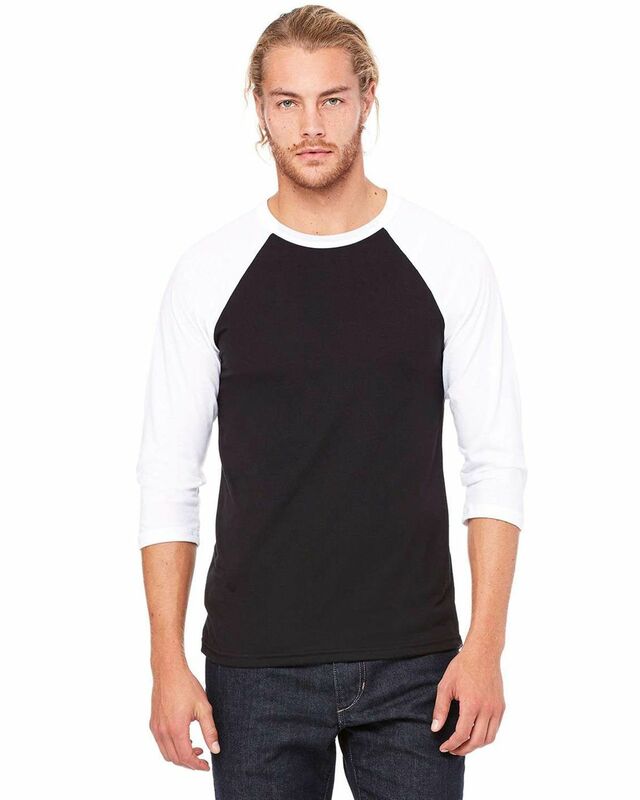 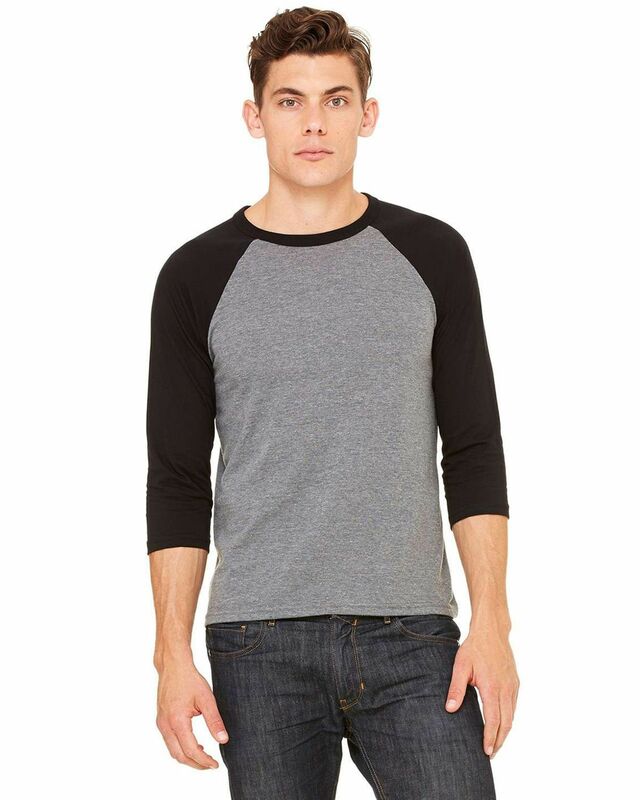 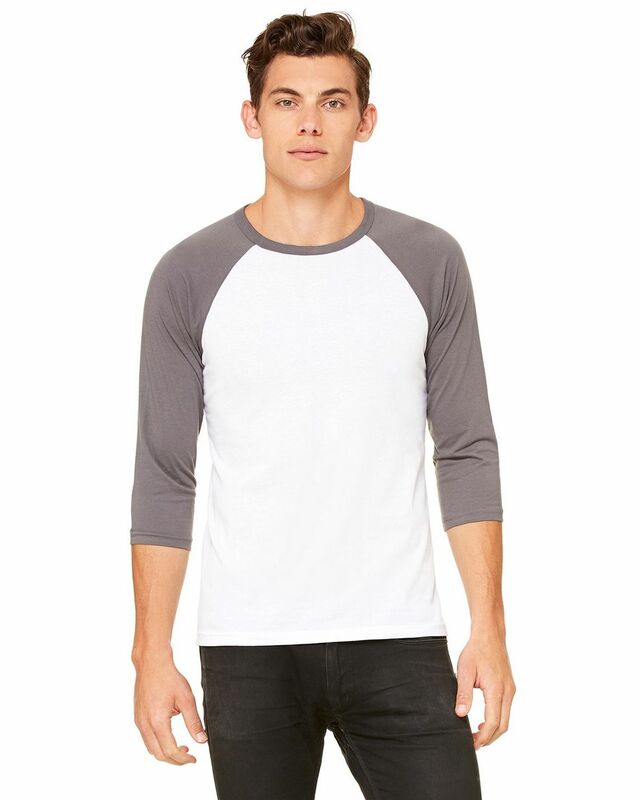 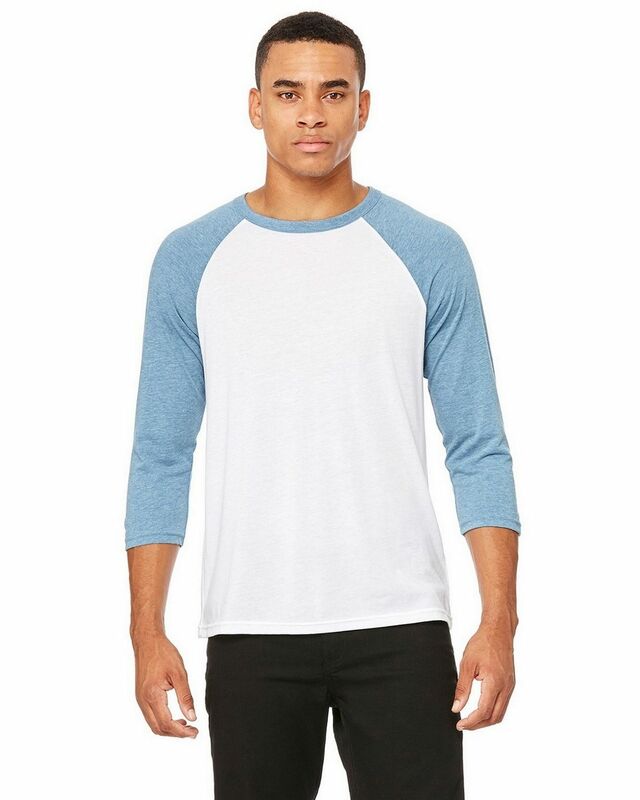 40 singles contrast Raglan sleeves and neck trim unisex fit. 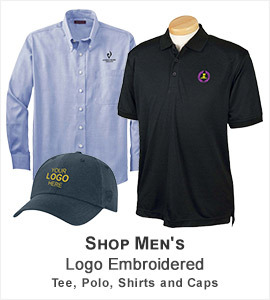 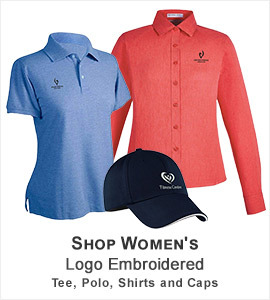 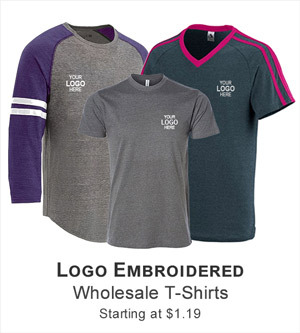 Sizes Estimate or measure anything's dimensions Body LengthThe length of merchandise measurement is taken from the top of the shoulder, close to the mid side of your neck, following your body down to the point where you want your garment to end. 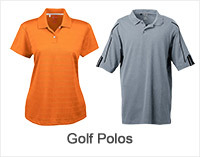 Body Length Tolerance Body WidthMeasure up over the curve of the shoulders and to outside edge of the other shoulder. 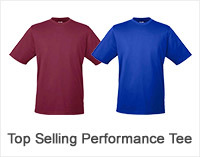 Body Width Tolerance ChestMeasure around upper body, under armpits, and over the fullest part of your chest and shoulder blades. 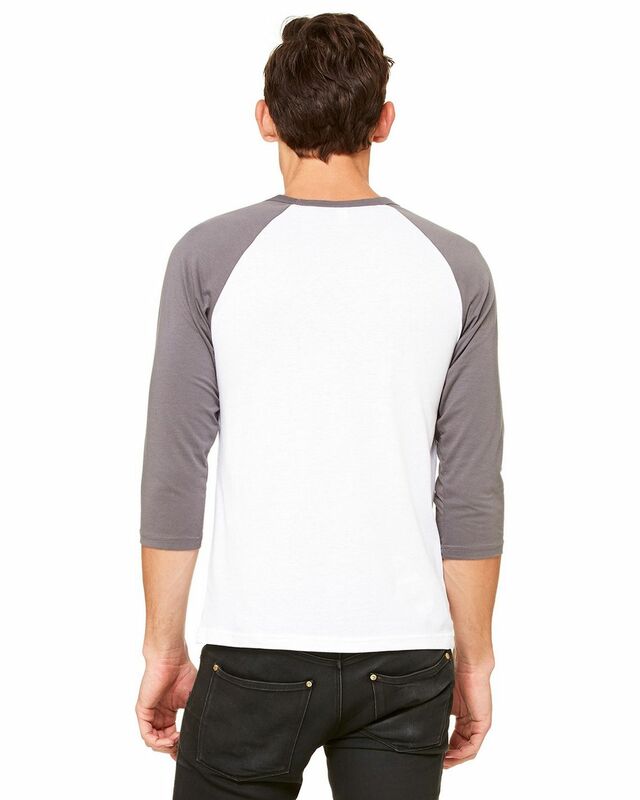 Sleeve LengthMeasure along the outside edge from the top of the shoulder (starting at the seam) to the end of the cuff. 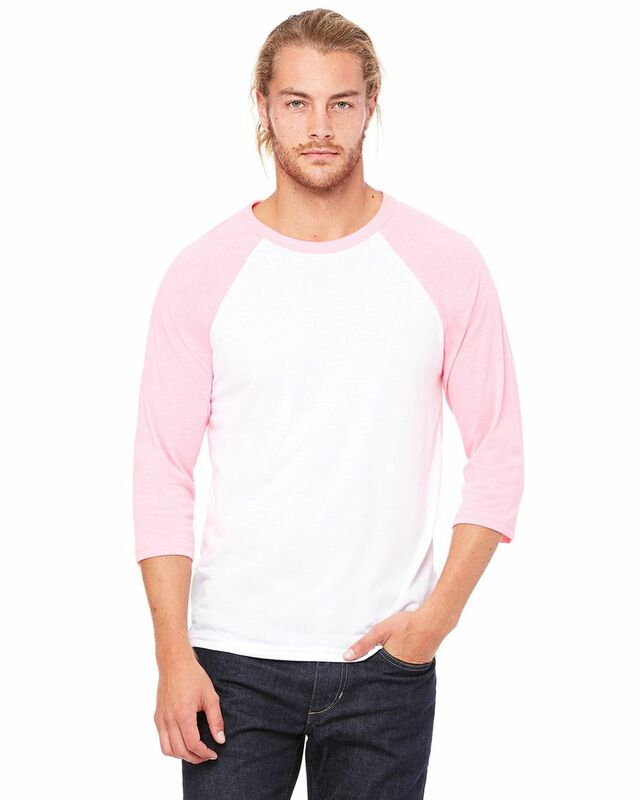 Nice shirt looking shirt-soft. 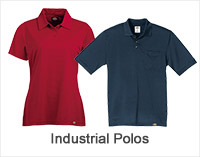 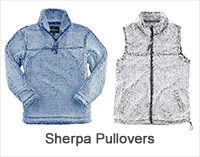 Not sure about durability compared to other brands, but no customer complaints. 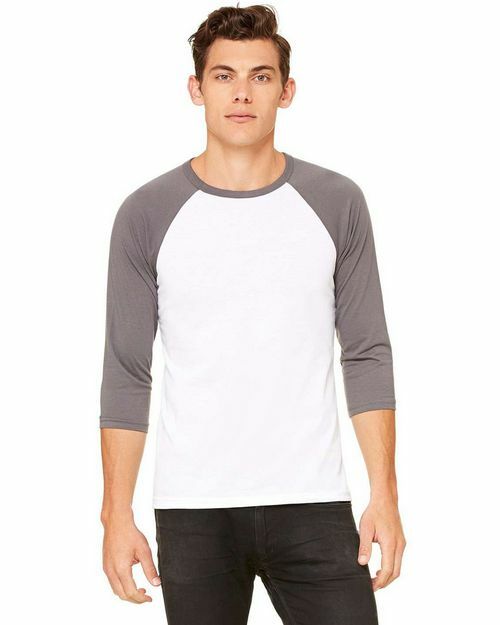 Nicely cut 34 sleeve tees which make cool concert jerseys, soft lightweight shirts that are available in a good variety of colors. 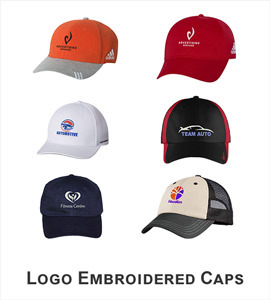 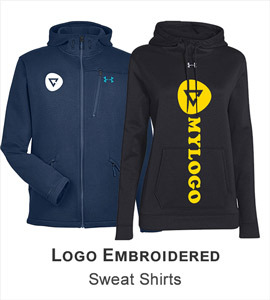 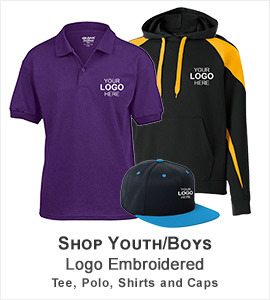 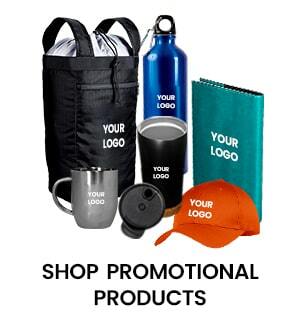 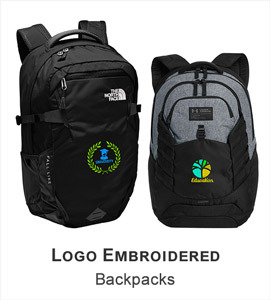 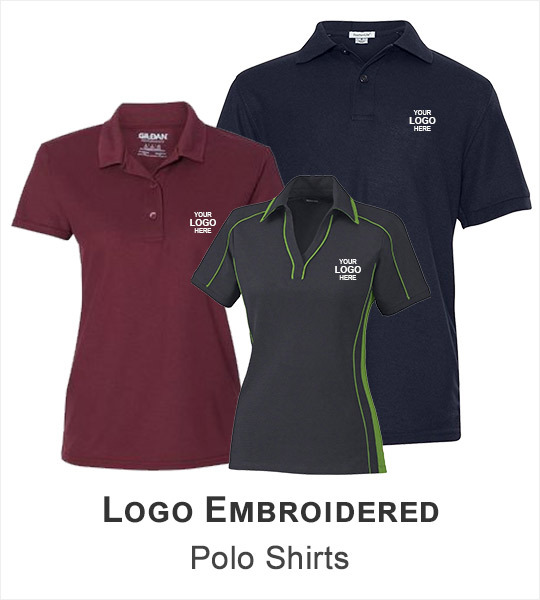 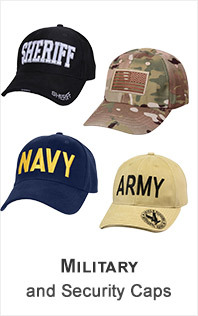 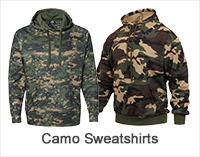 Consistent quality and perfect for screen printing.